Savvy Mode: BB Cream: The Miracle Beauty Product??? BB Cream: The Miracle Beauty Product??? For a few years, I heard of this BB cream thing whenever I visited Asia but never figured out what it was. Anyhoo, it was not until a few months ago at Neiman Marcus that I figured out BB cream stands for blemish balm cream. After further reading, I was quite intrigued and very interested in getting my little paws on a tube. It appears BB cream will cover, hydrate, brighten and protect. How great is that!!! I was going to buy Dior BB cream but the $74 tag deterred me slightly. Most of the brands in department stores are about $35-40. I found out Garnier has one for $11.95. As I am not sure if I will like it, I don't want to spend too much money. I do want to try BB cream because gal pals who use BB cream actually rave about it. Does anyone have a good BB cream to share that won't break the bank?? 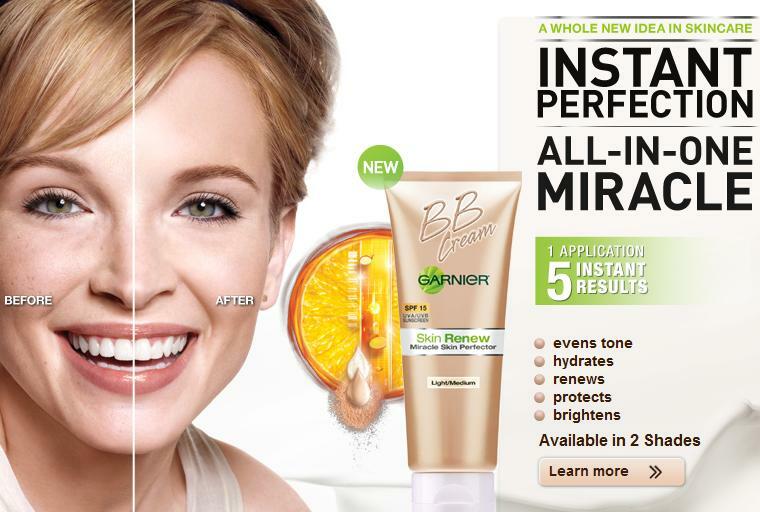 I had a chance to try Garnier BB cream at gal pal. After application, I looked for even tone, hydrate, brighten. Protect is just SPF and renew is to early to tell. Even Tone: the coverage will be good for those who only need minimal coverage. Hydrate: I noticed my face was slightly more moist. Brighten: I noticed my face was brighter, with a slight glow. Overall: The texture is not heavy. I usually don't like heavy scent which is one factor against this BB cream for me. Although it is not unpleasant, I just prefer to avoid heavy scent, pleasant or not. After using the cream, I don't think I will run out to buy a tube because I already have pretty good skincare system. I am already using La Mer cream for hydration, a great sunblock which tint, and Stila concealer that will bright and conceal. BB cream is good for a gal who wants all in one. Although I am not excited about Garnier BB cream, I will still look around for other samples to try. i love love love clinique bb cream - its not as expensive as estee lauder's or dior's ones. i prefer its texture too. garnier is too liquid-y. clinique one is thick and it doesnt look too dewy. but then again, i like matte look. :) clinique bb cream is kinda my must have these days. i sometimes even just wear it on its on. I heard from many friends that they sometimes just wear bb cream by itself too. Now I am really curious. I read about this beauty creme on a blog and found reviews on Amazon. I haven't tried it yet, but it's definitely intriguing. Also a good price. thanks for sharing. I will look into this bb cream. I haven't tried it but am curious too! Please let us know! I've read that bb creme isn't the best for combination to oily skin which is what I have... Good luck with your search. A friend commented on Savvy Mode FB page: I got a small sample of Garnier BB cream in the mail and tried it. It didn't do anything for me but I do have a lot of brown spots. For people with slight freckles, it might work but not someone like me. I heard about this BB Cream from a friend who travels between UK and Hong Kong quite a bit. I got my sister in law to hunt it down in Korea. Truthfully, I wasn't all that impressed with mine. 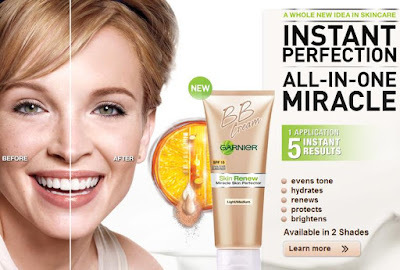 I'd love to read what you think of the Garnier BB cream. I've been wearing BB cream for years and I love how it's an all in one product. I have stopped wearing foundation. I use Hanskin and Skin79 which are Asian brands that can be bought through Yestyle or sasa.com. The Asian formulations offer way better coverage IMO. I've checked out samples of the Clinique and Smashbox ones stateside and sadly they're little more than glorified tinted moisturizers.